This website is about the coming of our Lord Jesus Christ. 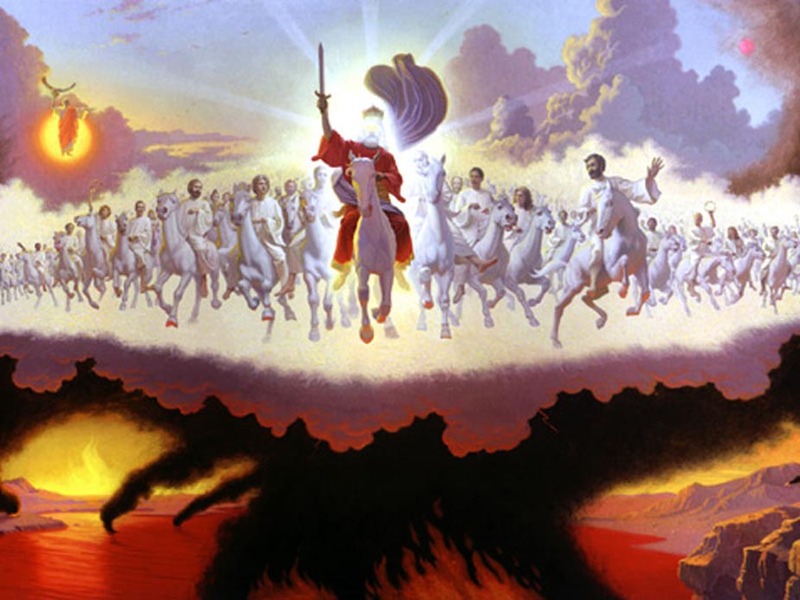 Many people ask When Will Jesus Come back to earth for the rapture. The answer is very simple, no one know, not even the Son of God knows, But only God knows the exact time and date. Don't let anyone fool you. If someone tells you they know when Jesus Will Come, they are lying to you. Not even Jesus himself knows when he is coming back. The only one who knows the exact moment is God the father. Dont fall for false words. Many people may tell you they know, or they may say God talks to them and God has told them.. Don't believe, but you don't have to take my word for it. Look in your bible on Matthew 24:36 says: No one knows about that day or hour, not even the angels in heaven, nor the Son, but only the Father. You might be wondering, why create a website about the coming of Jesus? Well, the answer is simple. I believe the Lord called upon me to create this website to spread the word about the coming of Jesus. I wanted to give something back to Jesus. He has blessed me so much and I wanted to so something for him. But I am not a talented person. I am very shy. I admire those people who go out and preach the word to other strangers. I think it must take a lot of courage to do that. My mom once told me that God uses each individual according to their gifts, or their skills. I dont have those skills. My mother, she has the skill of just going to strangers and start a conversation. I would be proud of my mother when she would come home and tell me her experience when she would go out and when she come home, she would tell me how many people she had save. She called it 'Soul Winning' I admire her for that and i am very proud of her for that. I could not do that. But the Lord has blessed me with wisdom. Computer wisdom, that is. I started getting curious about how an internet web page works, soon I learn all the skills and bought the domain Jesuswillcome.com - originally, i wanted to get jesuswillcome.org, but it was already taken. So if you are wondering why jesuswillcome.com that is the reason. I hope you find good inspirational content on this website. if not, i would encorage you to leave your comments or perhaps write an article, you can write your own article in the 'Post New Topic' section above.